Immediately on my return from a month-long trip to northern Madagascar and the Comoros I inputted my records into my Wildlife Recorder program and was delighted to see that the total number of birds I had ever recorded now stood at exactly 8000. Reaching this total has been an ambition for quite some time, but I’m not celebrating yet! Why, because 156 of these bird species are ones that I have heard but not seen. I think in using the example of a winter plumage dowitcher, Mark is confusing using vocalisations to identify a bird that has already been seen with counting one on your life list that has been heard and not seen at all. I have come across many instances of birds that have been seen well but have remained unidentified until they called/sang, this is quite different from someone pointing a sound in the treetops and then you saying that you are happy to tick it on the basis of that sound alone. Is there any birder in the world whose only encounter with either Long-billed or Short-billed Dowitcher is of a bird they have heard but not seen? 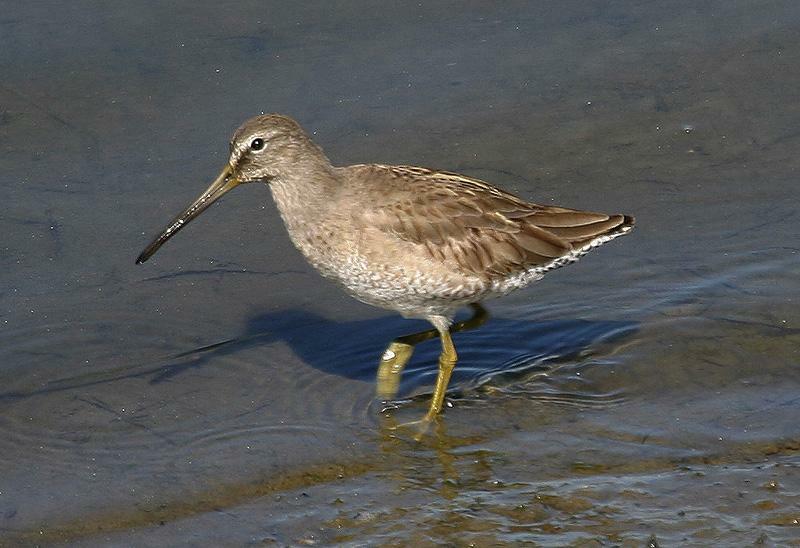 Short-billed Dowitcher, photographed by Peter Vercruijsee in California taken from the Internet Bird Collection. The issue of ‘heard onlys’ is an almost exclusively tropical one, I have just one’ heard only’ from North America (Black Rail), South Africa (Knysna Woodpecker) and New Zealand (Great Spotted Kiwi), the other 152 lie within or very close to the tropics. Of course within these regions most (but of course, not all) birders rely of expert guides who know the vocalisations. When a guide points out a bird by sight you can quickly confirm that you are looking at the right bird, you may not remember every ID feature but you will know enough to get you to the right area in the field guide. When a guide points out a bird by sound you have no easy way of confirming that you are hearing the sound in question and not some other sound that is going on at the time. I know that if you learn all the sounds in advance this might be possible, but the chances of me remembering the 800 different vocalisations that could be heard on a trip to Ecuador are just about zero. Does this look like an owl? It sure sounds like one! On the Indonesian island of Flores the Flores Scops Owl hadn’t been seen or heard for years and was presumed extinct. Calls at night were ascribed to the widespread but elusive Red-legged Crake (above). 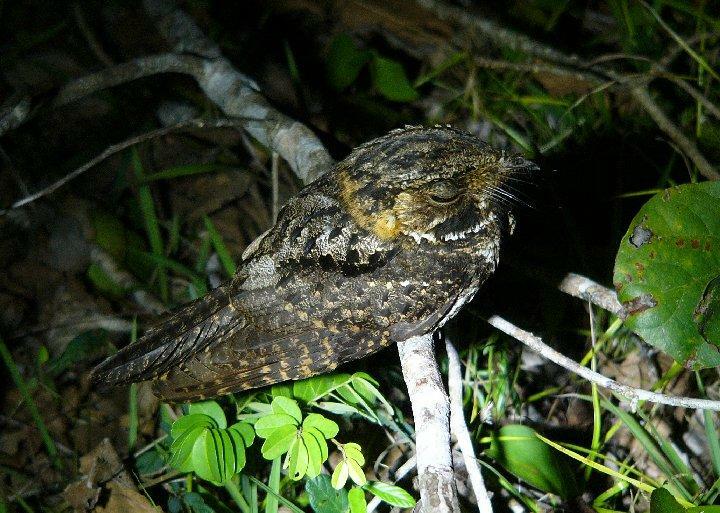 It was eventually found that these sounds were from the Flores Scops Owl which sings close to the ground. Even a poor view would ascribe most birds to the correct family or group of families but vocalisations can’t always do that. Photograph by Joseph del Hoyo in Singapore taken from the Internet Bird Collection. Of course mistakes occur in field guides, pictures have been omitted, captions have been misplaced and birds have been illustrated incorrectly but these errors are soon discovered and corrected. The fact that the wing pattern of Gadwall was incorrectly shown in the Heizel, Fitter and Parslow field guide didn’t stop us from identifying the duck, however the vocalisations of Yucatan Poorwill and Yucatan Nightjar were transposed on a tape or CD of birds of Central America leading to many birders misidentifying the species concerned. I know this just means that bird sound libraries have not yet reached the level of reliability seen in bird photographic libraries, but can vocalisations alone give a cast iron identification in the absence of a view? There is always the risk that if you tick birds on sound alone that you will be merely ticking another birders mp3 player! Use of recordings to attract or elicit a response from a bird is widespread, especially in the tropics. I know for a fact that this can occur. Whilst playing a recording of Noisy Pitta in Australia I came across an American group, when asked if they had seen any Noisy Pittas they proudly replied ‘no, but we have just heard one’. How many of that group have my tape on their life lists? Noisy but elusive. 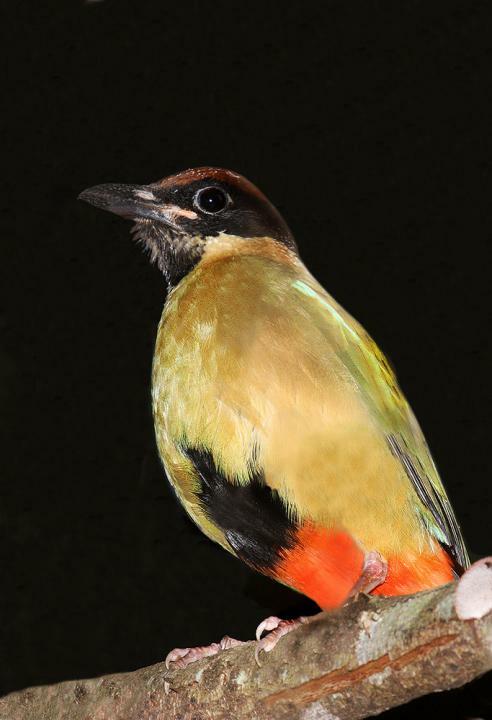 Noisy Pitta, Queensland photographed by D Taylor, photo from the Internet Bird Collection. 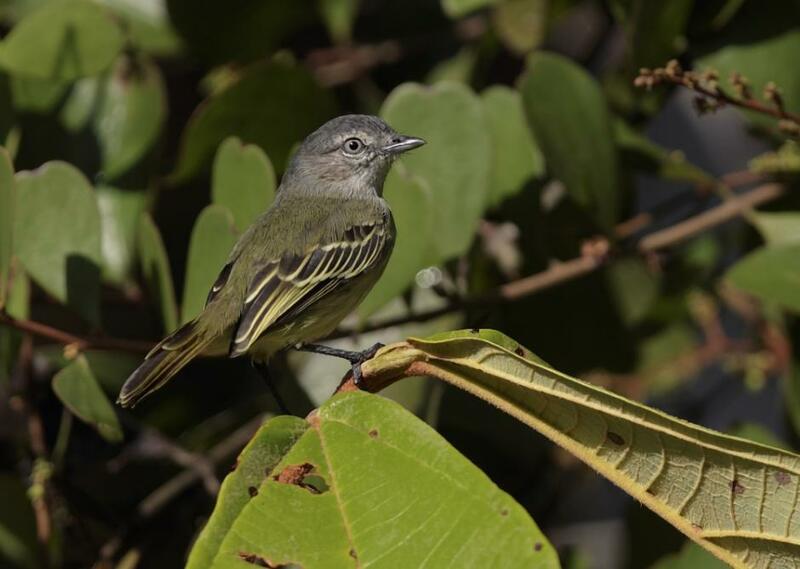 Many birds in the tropics such as this Slender-footed Tyrannulet will be identified by the leader on the basis of its vocalisations. Whilst not doubting their identification in the slightest, I would wish to see that the sound is coming from a tiny flycatcher with pale wing bars and feather edging before I put it on my life list. Slender-footed Tyrannulet, Amazonas, Brazil photographed by Anselmo d Affonseca from the Internet Bird Collection. My friendship with Mark Constantine and others in the Sound Approach has meant that I am much more aware of bird vocalizations that I once was and value hearing birds sounds in their own right (after all I got up in the middle of the night in North Carolina just to hear a Black Rail call when I knew that I had no chance of seeing it) but for the time being, at least, I will continue to keep the ‘heard onlys’ listed separate from those birds that I have seen. And I am not alone, the American Birding Association, perhaps the only organisation that publishes specific rules on what you counts and what doesn’t, have allowed heard onlys for the last 15 years or so, but if you look at the top 30 world listers totals published on their website you will find that 21 of them specify that they don’t count heards and indeed, I’ve only met one top lister who does. I’d count a ‘heard only’ owl on a bird race, for a county list or year list or (if I was ever lucky enough to ever hear a Tengmalm’s Owl in the UK) for my British list, but for the list the really matters, the one that determines whether you have ever encountered that bird anywhere in the world or at anytime in your life, then the minimum standard will be a view compatible with the type of bird that I have heard vocalise.